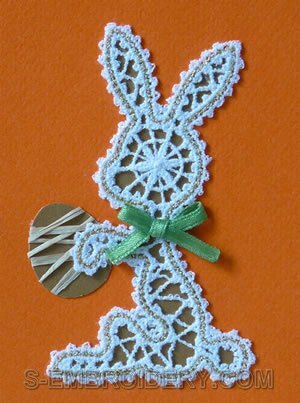 This Easter bunny Battenburg lace machine embroidery design can be used to decorate your custom hand-made Easter greeting cards or to create ornaments for your Easter tree. 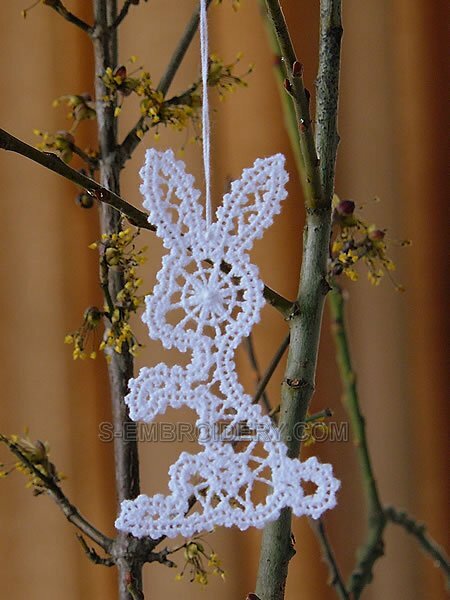 The design is offered in 2 versions - single and two-color. 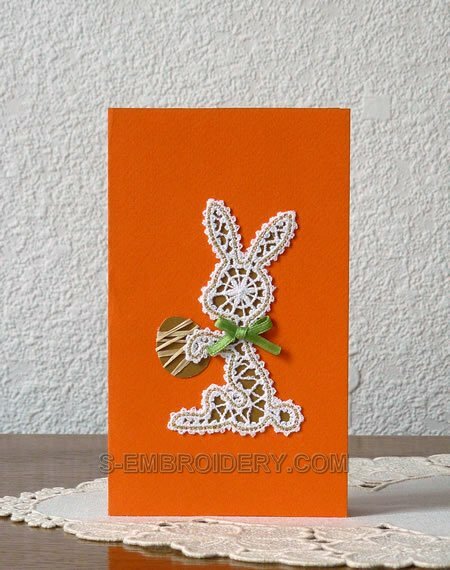 You receive 2 machine embroidery files in one of the supported formats and 2 PDF files - one with design information and one with instructions for creating custom Easter greeting cards.